This index is useful in identifying names of drag racers who died in a state, country, or at a particular drag strip. It is arranged with states in the United States, arranged alphabetically, preceding the international section. 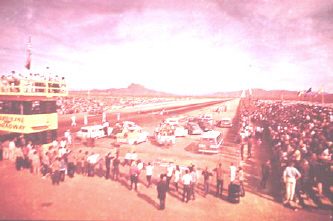 Within each state or country, drag strips are arranged alphabetically. The drag racers are listed alphabetically under each drag strip name.